Re-electing Senator Boucher on November 6, 2018 is crucial to the future of Connecticut. Senator Boucher, who was elected to represent the 26th Senatorial District in 2008, will work diligently to resolve the state’s fiscal problems and plan for the future in a bipartisan manner. 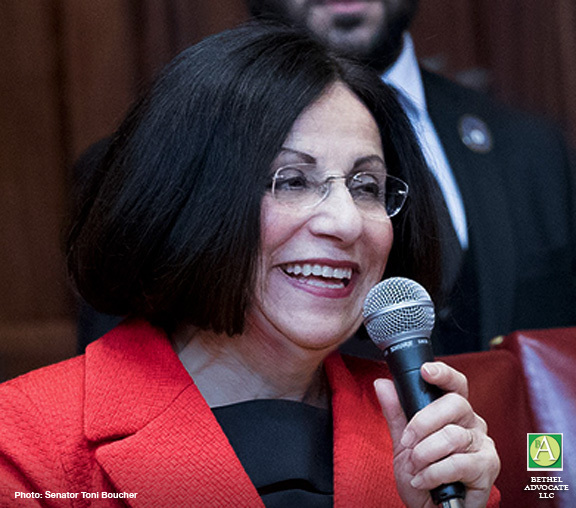 Senator Boucher is a tireless advocate for lowering taxes, reducing the unsustainable size and cost of state government, improving infrastructure, and bringing first class, affordable education to Connecticut children. I have seen firsthand the undeniable passion and energy Senator Boucher has for the voters of her district. Please join me in voting for Senator Boucher.